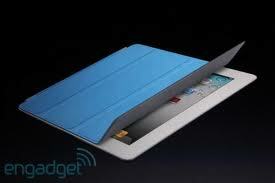 The iPad2 revisited in depth. How does it look now? Flicking through the web on the subject of the iPad2 vs other Android tablets, it’s become clear to me that much of the negative stuff is written by people who use only one or other of the platforms. As a result, much of the invective on either side is pretty ill-informed, or not really relevant. to normal daily use. A day or so ago I got back the iPad2 that I recently purchased for my dear father (to check out the apparently very short battery life). I thought I would test the assertions above, as well as revisiting in detail the app scenarios in my earlier posts. Before I wrote those posts, I had run all the same or equivalent apps on the iPad2 and was reasonably sure the comparisons were fair. 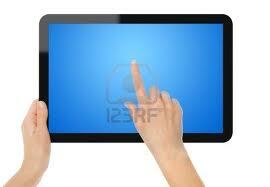 But I hadn’t extensively used the iPad2 or explored all the apps available. Now I have, so here is my report. Let’s take responsiveness first. Firstly I agree with the Telegraph author – the iPad2 is a fraction faster. I looked at his example of screen rotation, and I also looked at the speed of accessing a web-site that was not in the history or cache files. In both cases the iPad2 was faster, but by a fraction of a second. Also to be fair, I had 34 icons plus two active widgets on the Transformer, versus 22 on the iPad. If your usage of a tablet critically depends on the speed at which the screen rotates, then you should by all means get the iPad. Over the course of a day, with hundreds of rotations, you could save yourself several seconds. However, that’s not at the top of my list. I should also add that the iPad soft keyboard is a touch more responsive than the Android Touch keyboard app, and for very very fast typists, this could be a problem. It’s not remotely an issue for my spritely two fingered peck however. Now let’s look at applications. I started with one of the major ones for me on the tablet – the keyboard. It’s important because text entry and correction is the biggest restriction on a tablet, and fixing these limitations can make tablets way more usable. Calling up the Apple app store, I got 984 keyboard apps for the iPad, and 451 for the iPhone. On the Android store, there were 3098, twice as many in total (in my experience almost all apps shown in the Honeycomb app store work on the tablet as well as the phone). I assumed these were just apps where the word ‘keyboard’ is used in the description. So I also looked at the actual quality of the apps. Sorted by popularity on the iPad2, 8 of the top ten apps provide humorous (!) emoticons in the text. In the first hundred apps there is not one that provides any support to the inadequacies of the stock iPad2 keyboard. There probably couldn’t be, because (I believe) this is not allowed by Apple. So there are nearly one thousand essentially trivial iPad keyboard apps – including a f*rting keyboard – which I think is an Apple exclusive. 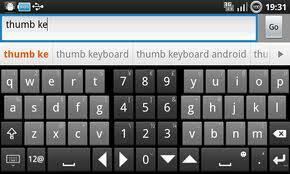 By contrast there are at least a dozen full replacements for the Android stock keyboard, many at least as good as my current favorite, Thumb keyboard, each of which offers additional skins, languages, and themes and significant improvements on the limitations of tablet text entry and correction (see my earlier post for details). The next major category of apps for me is browsing. On further searching I see there are more browsers available for the iPad2 than I had previously thought.although a search on ‘browser’ reveals 5057 Android apps, 3.5 times as many as on the Apple store. These apps include Skyfire which at £2.99 claims to offer Flash support. It also has really bad reviews. The first one in the list says:’ really useless product’, the second says ‘don’t bother’ and the fourth (of five) says ‘poor’. .
For a flash-free alternative, I downloaded the most popular browser for the iPad 2, Opera mini, which has the merit of also being free. It is essentially a clone of the stock browser, right down to the lack of tabbed browsing, and for my usage it is no competitor to Dolphin HD on Android. Oddly, the most ‘relevant’ on the list, Mercury Browser, is not the most popular, but it is by some margin the best for function. This is a huge 32 MB app, which does offer tabs, plus bookmark syncing. I find bookmark sync to the PC essential for serious browsing – and this capability is something of a step forward for the iPad. The bookmarks only sync to a Firefox browser, and folders are not supported, but it works well otherwise. This browser still lacks the user agent switching, plug-ins, gesture support, functional Flash support, and so on of Dolphin, but it does start to approach that function. While on the subject of bookmark sync, xMarks is available for both platforms. On the Android it is integrated right into the Dolphin HD browser (the premium version of xMarks on the server is needed), and folders are supported. Alternatively Chrome bookmarks can be integrated right into the stock Android browser. On the iPad the only option is to go to the separate xMarks app, find the bookmark and then make the link to start the Safari browser. So to use synced xMarks on the iPad2 you need to constantly switch between two apps – a tedious business..
A final comment on browsing. If you choose a better browser than Safari, you will still not be able to use it as the default browser, as that function (present on Android) is not available. Hitting any link from say a reader program, sends you to Safari. You presumably would have to cut and paste to get the link open in your preferred browser. This is all too much work for me, and seems to confirm my original observation that browsing is much superior on Android/Transformer than on the iPad2. In the area of reading the iPad2 app scene has taken a marked turn for the worse (a singular achievement in the era of continuous improvement). All reader apps other than iReader are now prevented from making direct purchases from their respective web stores. This amongst others adds Amazon to the list of major offerings (like Adobe Flash) that are locked out of the platform. To buy Amazon books, you have to separately go to their web page and make the purchase, then return to the reader. iReader is a reasonably pretty app, but is far from the best reader on the platform. A very good ZDnet article published in July covers it’s shortcomings in some detail – I extract a few elements of that review here. Firstly, iReader prereqs iTunes, so locks the user down to using a USB sync to a host PC or Macintosh as the primary data transfer mechanism. Very cumbersome, and probably intentionally so. They go on to say “Additionally, EPUB and PDF content synced into iBooks’ library is not accessible by other e-Reader applications. Generally speaking, every e-Reader app for iPad maintains its own separate database, and are not compatible with each other.” Oh. They also note “The aesthetic focus of iBooks is also in my opinion one of its most serious weaknesses. Much time has been spent by Apple’s developers on how the app looks in terms of eye-candy and very little time was spent on how well the application works for actual text reading. One glaring omission is the lack of color themes, especially a white-on-black inverted text motif. To read text inverted on iBooks, you actually have to go into the iPad Settings applet for Accessibility and choose “White on Black”, which changes the color scheme of the entire device globally”. White on black is essential for me for dim light or night reading. In addition it does not handle large collections of books well. They say: “Unfortunately, iBooks doesn’t scale very well as the size of your EPUB library increases. While iBooks is perfectly fine for a few dozen or perhaps a hundred or so books purchased from the iBooks Store or synced into iTunes it is extremely unwieldy once you approach 300+ titles loaded into the database” Interestingly, a commenter on this post notes “Have over 400 books on an Asus Transformer. And it’s slick. No delays, no problems. You can organize them by topic or search through them. No limitations like on the iPad. Can have up to a full 1TB drive to work with!”. On the basis of the above, I remain of the view that the open, fast and powerful readers on the Android/Transformer provide a much better experience than the closed ones on the iPAd2. This is a fairly unglamorous area, but one that is important for me. I did a app comparison between the Apple app store and the Android Market, searching for ‘text editor’. The Apple store produced 93 iPad apps and 109 iPhone apps. The Android Market produced 1112 apps, so about 5x as many. All of the first 12 ‘most relevant’ iPad apps were charged, some as high as £6.99. On the Android market, all but 3 of the first 12 were free. This is a feature I have noticed repeatedly on Apple – a much higher proportion of apps are charged, and there are often many fewer comments. The most popular app on the Apple search was ‘iA writer’, with 119 ratings. The most popular I could find in the Android market was ‘Minimalistic text’, with 6,362 ratings (and 5 stars). In the reviews above I have downloaded and paid for many apps on the iPad, to see how they worked. However, text editing is not that glamourous, and I am not going to waste 3 quid on an iPad app just to see text editing. In net, I would assume the app functionality is the same on both platforms, but the choice on Android is again far far broader. I should also remark that I have downloaded a large number of Adroid text apps, and they all were set up for the tablet format (only 95 of the 200 Apple apps were). I looked again at the comparison between the native mail clients on the two platforms, and ran the iPad app through it’s paces. I won’t bore you with it other than to note it confirmed all my earlier comments – for Gmail the Android/Transformer combination is far superior. I also did an app search for ’email’ on both platforms. On Apple, this gave 638 iPad and 2460 iPhone apps. Impressive. 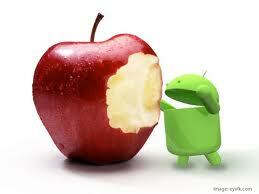 On the Android market there were 40,713 apps, giving the ratio of approximately x13 in favour of Android. OK, this comparison is starting to get tedious for me, and I am sure for you to. But for completeness, I looked at another app set that I don’t personally use, but which is a shoo-in for a tablet, and that is playing videos. A search for ‘video player’ yielded a surprisingly small 95 iPad apps, and 144 iPod apps. The Android market offered 1063 apps. All but 2 of the first 12 Android apps were free, and all but three of the first 12 Apple apps were charged. Of course, whichever Apple video player you choose, you are not going to get Flash, and again I am not going to waste money on these Apple apps to test them, as I don’t watch videos on either tablet. But on availability, it’s a 4x ratio in favour of Android. I also looked at a few app categories outside of what I do, to find areas where the iPad had more. Newspapers is one such example. The Apple store has 6228 iPad apps, and 20,117 iPhone apps. 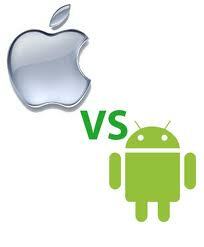 The Android market has 10, 649 across both. It’s not clear whether there are in fact more apps on the iPad – of the hundreds (literally) of Android apps I have downloaded for the Transformer, only 2 have proved not to be fully set up for the tablet. Numbers-wise it’s a similar situation for the Finance category. The best you can say that once you get over say 1000 apps, in any category, you probably have enough. I have no idea where the Telegraph author was looking for Android apps, but either he does stuff that I have not heard of, or he isn’t looking very hard. I started this post prepared to prove myself wrong about the iPad. In fact I have found using it frequently irritating, and detailed analysis has shown the app functionality to be comparatively worse (for the stuff I use) than I had thought. Finally, I was really surprised to find that for my usage pattern there are far more apps on Android than on Apple, and they are mostly free. If you are thinking of using a tablet for browsing, Gmail, reading, writing and blog posting, then I would seriously think about an Android tablet. If you are the type of user that mainly rotates the screen to see how fast it moves, or if microsecond response is critical, or you want a f*rting keyboard, and you don’t mind the increasing lock-outs from the platform (in Apple’s favour) then you should get the iPad.